Jonathan Bamber is professor of physical geography, University of Bristol and was Director of the Bristol Glaciology Centre from 2010-2013. 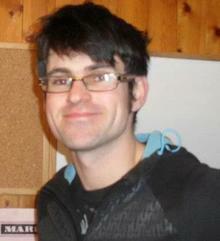 He has a degree in physics (Bristol) and a PhD in glaciology/remote sensing (Cambs). He has ~30 years experience in the analysis of airborne & satellite data sets from the polar regions, specialising in the use of microwave, IPR and lidar remote sensing over the Greenland and Antarctic ice sheets and more recently in combining these data with models of the cryosphere-climate system [more]. 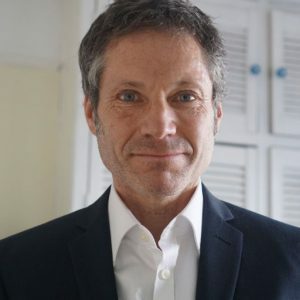 Tom Jordan has a BSc in Physics with Theoretical Physics (University of Manchester), a MSc in Numerical Modelling (University of Reading) and a PhD in Complexity Sciences (University of Bristol). His current research – in radio-glaciology and geophysics – focuses upon the development of radar sounding analysis methods to determine the basal properties of ice sheets. His past research – in electromagnetic materials and biological optics – focused upon application of techniques from the physics of disordered systems to animal reflectors [more]. Chris Williams has a BSc in Geography (Newcastle) and received his PhD on the geometric controls on spatio-temporal glacier mass balance change in northern Sweden (Leeds) in 2013. He has been involved in the collection of geo-environmental data through various field campaigns in Greenland, Iceland, northern Sweden, the Alps and the Peruvian Amazon. His current research has been focused on the development of geomorphologically-inspired solutions to fill data gaps in geospatial datasets – specifically in fjord regions, as well as the compilation and integration of terrestrial and bathymetric datasets [more]. Michael Cooper has a BSc in Geography (Soton) and MPhil in Polar Studies (Cantab). 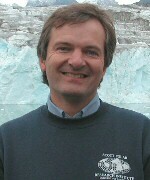 His PhD is focused on the use radio-echo sounding (ice-penetrating radar), and derived bed DEM products to interpret the topography and morphometry of the Greenland in order to establish the relationship between underlying bedrock and contemporary ice dynamics, as well as providing insight into past landscape origin and geomorphic processes [more]. Julian Dowdeswell is the director of the Scott Polar Research Institute and Professor of Physical Geography. He is a glaciologist who has coordinated seven major campaigns of airborne radio-echo sounding on Greenland and the large ice caps of Svalbard, the Russian and Canadian Arctic archipelagos and written a number of scientific papers on the analysis and interpretation of these datasets. He also has experience of SAR-interferometric methods of establishing synoptic ice-velocity fields and of quantitative analysis of visible/near-IR and SAR imagery of polar ice masses. He has also worked extensively on the marine record of past ice-sheet growth and decay on high-latitude continental shelves in the Arctic and Antarctic [more]. 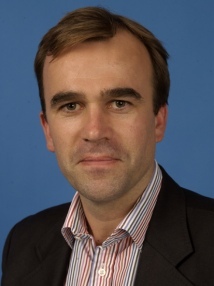 Martin Siegert is the Co-Director of the Grantham Institute for Climate Chanage, Imperial College London. He is a glacial geophysicist, who specialises in the analysis of Antarctic radio-echo sounding (RES) data in order to understand subglacial and englacial conditions in both East and West Antarctic ice sheets. Siegert has documented the size and distribution of subglacial lakes, and has extracted and mapped internal ice sheet layering of both ice sheets in Antarctica. By using numerical modelling techniques, Siegert has quantified past and present ice accumulation rates in Antarctica, and has revealed how the landscape beneath the Antarctic ice sheet predates the current ice configuration [more]. 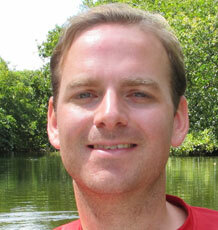 Steven Palmer is a lecturer in physical geography at the University of Exeter. He has a BSc in geophysics (UCL), a MSc in spacecraft engineering (Cranfield) and a PhD in remote sensing glaciology (Edinburgh). He has experience in the analysis of airborne & satellite data sets from the polar regions, specialising in the use of satellite interferometric synthetic aperture radar data and more recently in airborne radio echo-sounding (RES). He has participated in airborne RES surveys in Greenland and the Canadian Arctic with the same team that acquired the IPR data within the NERC funded project Greenland Outlet Glacier Geophysics (GrOGG) [more].